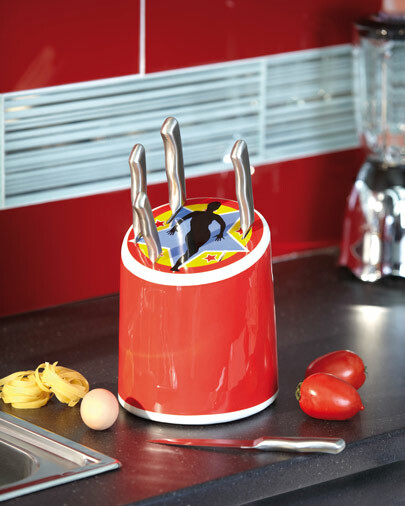 An unusual object in a simple kitchen, a touch of bright color, a touch of humor in the kitchen, the knife block Circus draws smile or wonder, in any case, it cannot be ignored ! Knife block porcelain enamel and chromos, hollow interior, equipped with five solid stainless steel knives. block : Height 25 cm (9.84’’), Diameter 22 cm (8.66’’). 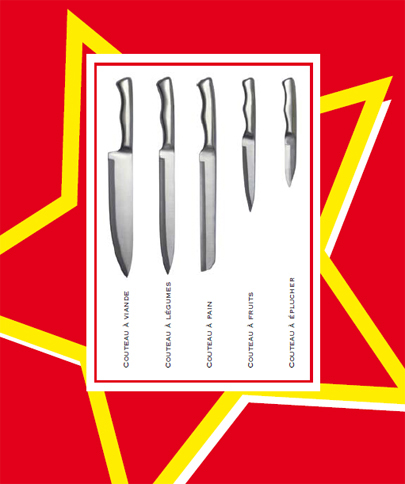 Height maximum with knives 35 cm (13.77’’).